Abbott, one of the world's leading healthcare companies, is investing US$60mil (RM192mil) to build a facility at the Kulim Hi-Tech Park (KHTP) to manufacture intraocular lens (IOLs) used to treat cataracts. Diane Beno, Abbot Medical Optics divisional vice president of global operations, said the facility marked the first manufacturing investment in Malaysia to broaden the group's presence globally. She said the plant was expected to begin operations in 2015, with the first product available in the second half of 2016. The facility will supply the global IOLs market. 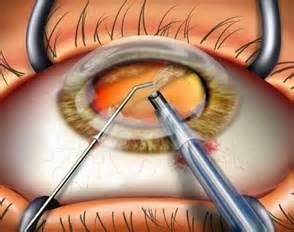 An intraocular lens is implanted in the eye after the removal of natural lens that has become clouded by a cataract. About 22.7 million cataract surgeries were forecast to be performed worldwide this year, and the number was expected to grow to 27.1 million by 2019. "The facility will provide high-quality, dependable products, helping people maintain active, healthy lifestyles with clearer vision after cataract surgery," she said. Upon completion, Beno said, the facility was expected to employ some 500 workers in Malaysia. It was also projected to play a key role in providing innovative solutions to physicians treating cataract patients globally. "Absolutely, we can see the growing trend for IOLs. To support this growth, Abbott needs this new facility, and the land covering 8.64ha will provide the needs for the short- and long-term," she said. The same technology used currently to produce Abbott's IOLs would also be employed at the new state-of-the-art facility in Malaysia, ensuring a level of quality equivalent to the IOLs manufactured at its other manufacturing plants in Anasco, Puerto Rico and Groningen, The Netherlands. Abbott serves people in more than 150 countries and employs some 69,000 workers.